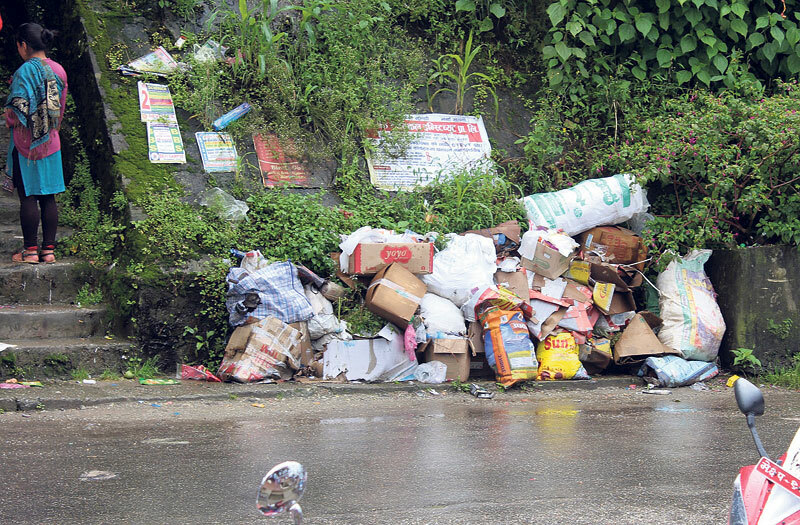 ILAM, Oct 20: Suryodaya Municipality of Ilam has been adversely affected by garbage piled up in the city. The problem emerged as the contractor failed to complete the landfill site construction on time. The local authority has not been able to fully utilize the existing landfill site due to frequent protest by the locals. As a result, the garbage has spread foul smell in various parts of the city. The government had declared this area a municipality some two years ago by merging the then VDC of Fikkal, Kanyam and Panchakanya. The locals of Ramite, the existing landfill site, have been protesting by putting forward demands of various facilities from the government in order to allow the place for dumping, according to Rajendra Bhattarai, executive officer of the municipality. Waste management has become a problem as the new landfill site is still under construction, he added. “At least Rs 10 million is immediately needed to fulfill the demands put forth by the locals of Ramite, the existing landfill site,” he informed. Local authority has a three-year contract with the locals of Ramite to dispose the garbage collected from the city. The government has acquired a total of seven ropanis of land nearby Myunkhola to construct the landfill site. With growing number of population and the municipality's inability to tackle the garbage management issue, there has been increase in the production of garbage and other solid waste. District Development Committee (DDC) had signed a contract with Thodun Baudha JV Company some three years ago for the construction of the new site. The construction works should have been completed more than a year ago as per the contract. 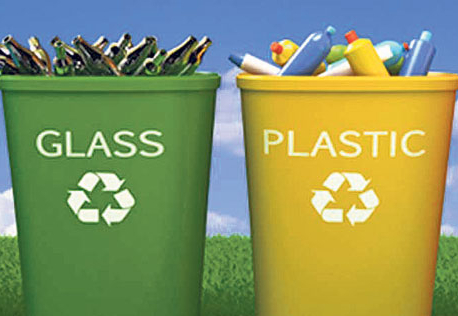 However, the main task of landfill site construction is yet to begin, shared Bhattarai. Raj Kumar Yadav, technician of the DDC, however, claimed that only 44 percent of the construction has been completed so far. The installment of advanced hume-pipes and other works are not completed yet, he said. The new construction site is designed in a way that will have facility to separately dispose bio-degradable and non-degradable waste, Bhattarai said. We will ask the concerned contractor to furnish justification for the delay in the construction works, Om Raj Dhungana, chief engineer of District Technical Office, said. We have time and again extended the contract period but the contractors have failed to abide by it, he said.